A custom rear bumper was long overdue, and when Brittan Smith got in touch with me and said he was interested in collaborating on a design, I was more than willing. 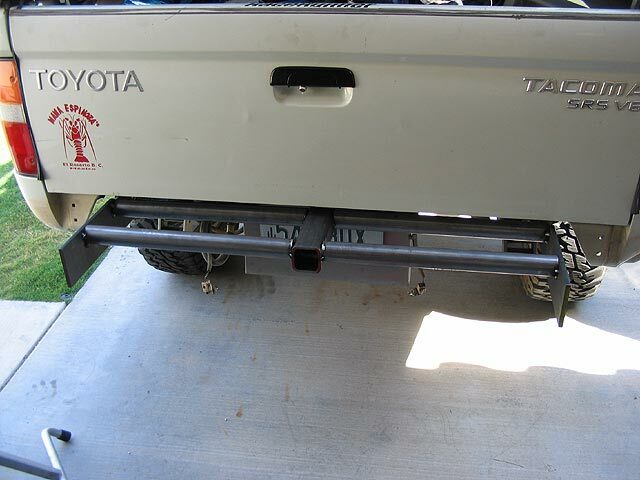 He wanted to make a rear bumper for his Tacoma, and knew I wanted to build one for mine as well, so this way we could share the work and expenses and more importantly, have more fun building them. We both seemed to have the same ideas in mind for how we wanted the bumper to function, so the next step was coming up with a design. We pulled lots of pictures from the internet for ideas, and shared thoughts on how we could shape it to achieve the look that we wanted. Along the way, we came up with the term "organic" to describe the outcome. It just kind of grew once we planted the seed! The humble beginnings. 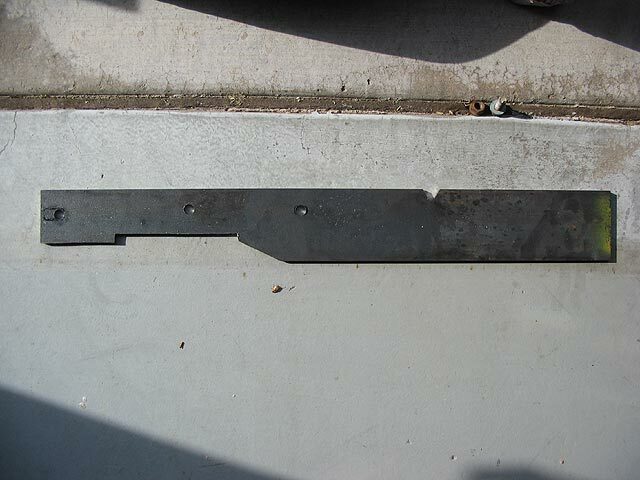 Some 3/8" steel plate would serve as the connection point to the rear of the truck frame. 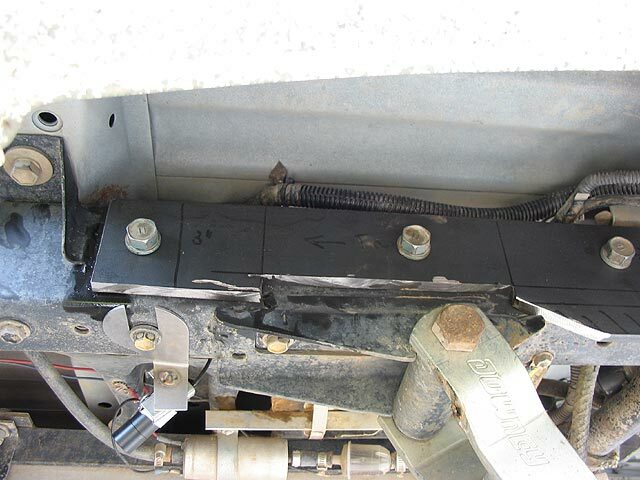 The plates were fastened to the frame in three locations (as opposed to two for the stock bumper). With the plates finished, we added the center section. This consists of front and rear tubes of .120 wall 1 1/2" tubing, with a class 3 receiver tube welded into the middle.